I thought I'd share another image from our trip last year to the northern Kruger National Park. 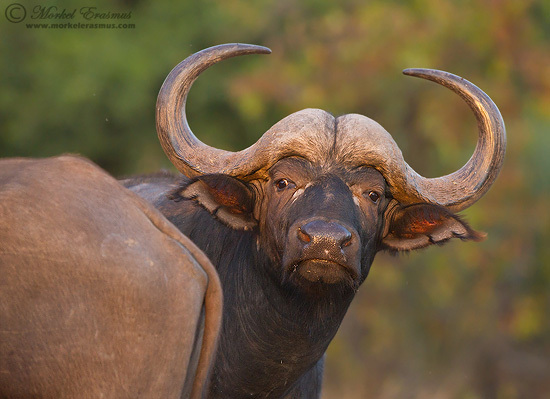 This buffalo was one of a herd that was blocking out way late one afternoon. I liked the inquisitive stare here. Note the ISO setting of 6400.